C&D Auto Paint offers a comprehensive product assortment that includes everything from paint to masking tape, from tools to sandpaper. We represent the leading brands in the industry. 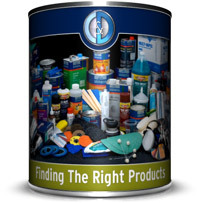 Plus, we can help you select a complete refinishing system that’s custom tailored to your business. Discover how our inventory management services, top quality products, industry leading services and a perfect color match lead to increased productivity. View our product catalog or contact us for more information. Equip your technicians with the right tools. Learn more.